Athens comes alive this weekend with out of conference football and a host of other activities. Hotel Indigo&apos;s Rialto Room is quickly becoming one of Athens premier music venues with this Friday&apos;s performance by four-time Grammy winner Chris Cross. VH1 recently named Cross&apos; song "Sailing" the greatest soft-rock song of all time. Shows begin at both 8 and 10 p.m., tickets are $55. The Melting Point&apos;s "Lunch with the Dawgs&apos;" series brings beloved quarterback David Greene back to Athens. Drafted to the Cincinnati Bengals in 2005, Greene is credited with guiding the Dawgs towards their Sugar Bowl victory in 2002. The lunch starts at 11:30 a.m. and costs $8 in advance and $10 at the door. The Classic Center hosts a homecoming concert for UGA alum Corey Smith this weekend. This popular Southern-rocker plays at 8p.m. at the Classic Center. Tickets are $25. Perpetual Groove, one of Athens&apos; favorite acts, brings their high-energy light show to the 4o Watt for a two night engagement. The show begins at 9 p.m. on both Friday and Saturday nights. Tickets are $15.50. High off of their glorious win over SEC West Rival Arkansas, the Dawgs are more than ready to take on the Arizona State Sun Devils. Kick off is at 7 p.m. at Sanford Stadium. To get your fix of SEC match ups this weekend head to Ramsey to see Volleyball take on the LSU Tigers. 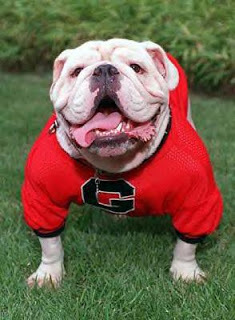 Besides the athletic action enjoy appearances by the Red Coat Pep Band, UGA Cheerleaders, and UGA favorite Spike. The match begins at 1:30 p.m. The Athens County Heritage Foundation continues their Athens Heritage Walks series with their Piedmont Farming tour. Join host Smith Wilson and his wife Dianne for a visit to the past on their horse and mule farm on Morton Road. Smith keeps the history of farming in the Southern Piedmont prior to World War II alive through seminars and demonstrations. Tickets are $12 for ACHF members and $15 for non-members.